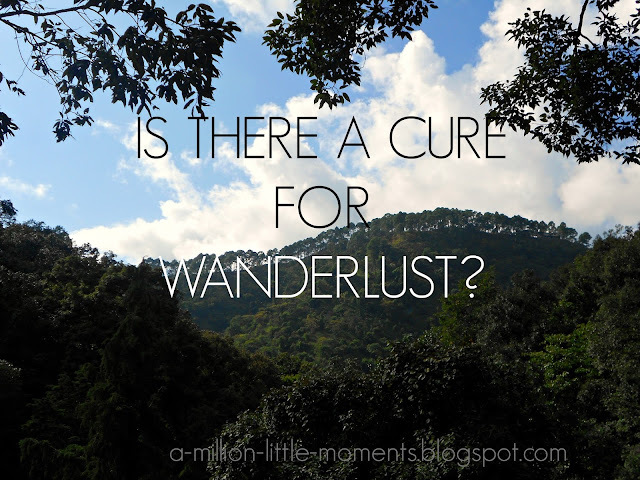 WANDERLUSTRIC: Is there a cure for wanderlust? Is there a cure for wanderlust? That is the meaning of wanderlust. The dictionary meaning. I can't help but feel that it's more than that. Wanderlust isn't just a strong desire to travel, wanderlust is a feeling that consumes you and blinds you until your heart starts beating abnormally fast and the places you could be start flashing before your eyes. It's like an obsession. All you can think about is the whole world. The desire to just fly away is so immense and forceful that you almost blackout for a second. Your mind feels like it's swimming in an kaleidoscope of the northern lights. It's beyond beautiful. It's beyond stunning. More often than not people describe wanderlust as a bug. And people who are bitten by the wanderlust bug are eternally smitten. But does everybody feel how i feel about it? Does it affect people as fully? Everyone claims to be bitten, but are you truly? There is a blurred difference between wanting to travel and needing to travel.And an even more hazy boundary between wanderlust. Wanderlust for me is both of the reasons in perfect balance. Everyone wants to travel, everyone wants to see the whole world. Some people need to travel as a getaway, or to find themselves or to lose themselves. But has your body been thoroughly gnawed and digested by the bug? Has it? Ask yourself these questions again and again and again.And if finally after weeks of thinking, you've found your answer, question it again. People throw the word around like it's meaning is light and can be accommodated. But it can't it's a heavy word with an even heavier meaning. It can't be adjusted. It can't be molded. So, Is there a cure for wanderlust? But i've been asking all the wrong questions all this time with even more misguided answers. Instead of asking " Is there a cure for wanderlust? " Do I want a cure?